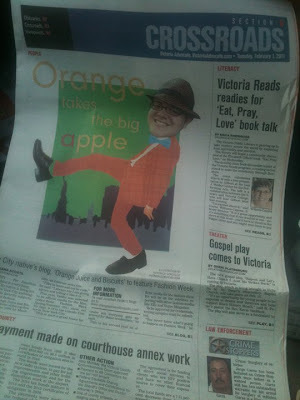 OJ&B In The Press: The Victoria Advocate Runs Story On OJ&B! 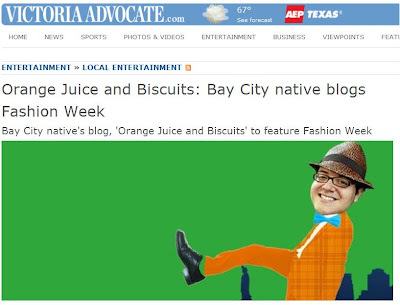 The Victoria Advocate in Victoria, Texas recently picked up the story about OJ&B from the Matagorda Advocate that ran during the week of January 24, 2011. I could not be happier that the story got picked up in a bigger market! 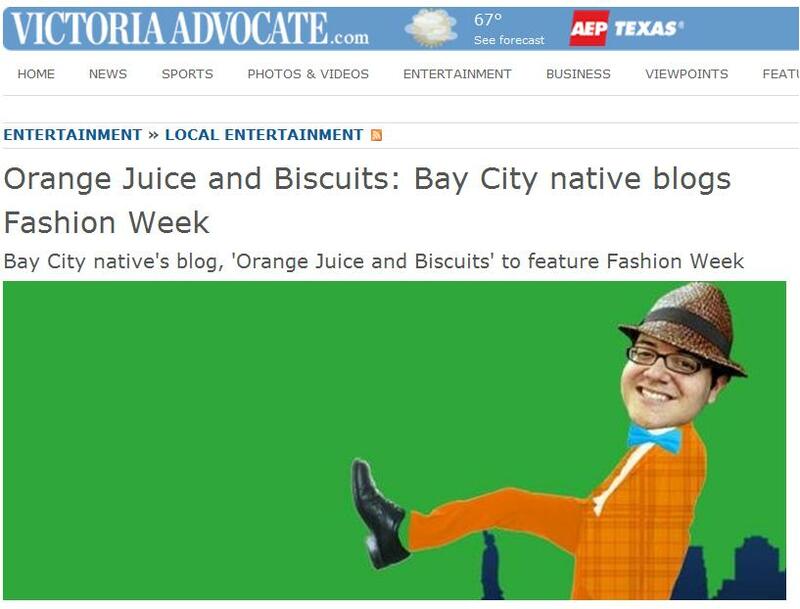 I am glad that people in Texas seem to be enjoying the story about OJ&B and OJ&B covering Mercedes-Benz Fashion Week. How awesome is the little cartoon that they did of me with NYC behind me? I am loving the Orange Suite and the aqua bow tie. I seriously wish that I could wear it to the tents! Once again, thanks to Matagorda Advocate Editor, Adriana Acosta, for taking interest and writing the story! Check out the story in the Victoria Advocate by clicking here. Above: Orange Takes The Big Apple is the main story on the front page of the Victoria Advocate's Entertainment Section!